The German industrial conglomerate ThyssenKrupp embraced the Internet of Things before it was trendy. Now, the company provides a case study for the technology’s power. Earlier this year, Harvard Business Review compiled a list of 11 companies that are digital transformation exemplars. Amazon and Netflix, which have redefined their businesses in the past decade, were tied for pole position in the ranking, which also includes tech firms founded decades ago like Apple and Microsoft. But one of the most remarkable companies on the list is ThyssenKrupp, a German industrial conglomerate with a history stretching back centuries. The company was formed out of the 1999 merger of Thyssen, a steel producer founded in 1891, and Krupp, a steelmaker and weaponry producer whose genesis stretches back to a family dynasty that began in 1587. Now, ThyssenKrupp is preparing for a future where its top commodity is data rather than metals or products like elevators or escalators, car components, trains, submarines or ships. 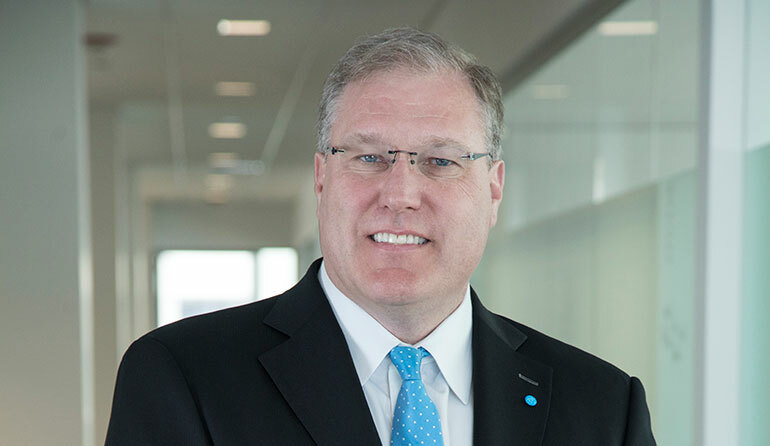 “I firmly believe that data is the asset of the future,” said Patrick Bass, CEO of ThyssenKrupp North America Inc. Companies that fail to make data their central asset risk becoming irrelevant, becoming commoditized by more data-centric competitors, he added. Being first to launch a predictive maintenance offering for elevators was a challenge, Bass acknowledged, explaining that the firm began to develop MAX before the term “IoT” was in vogue. “We fumbled the ball a few times with that project and then when the term ‘IoT’ became popular, we really learned our lessons, and we ran very fast,” Bass said. ThyssenKrupp’s decision to pursue MAX was based less on the immediate business case than it was on the potential to disrupt the elevator business with predictive maintenance, Bass said. Traditionally, elevator mechanics maintained tribal knowledge over how elevators functioned and when they needed repairs. But ThyssenKrupp could see that tools like artificial intelligence held considerably promise for elevator maintenance. So the firm set out to become the first to apply predictive maintenance technology to elevators to “control the value chain for ourselves and to show the value to our customers,” Bass explained. ThyssenKrupp’s warehouse distribution operations are another example of a business segment the company is reimagining. To that end, the company decided to outfit its warehouse workers with the Microsoft HoloLens, a mixed-reality headset that lets the viewer see the intersection of the virtual world with reality. By outfitting warehouse workers with the headset, ThyssenKrupp could make them more efficient and more accurate at processing materials coming into a warehouse. In a proof-of-concept for its digital warehouse initiative, the company was able to achieve a 30 percent efficiency improvement with regard to how it processed materials.